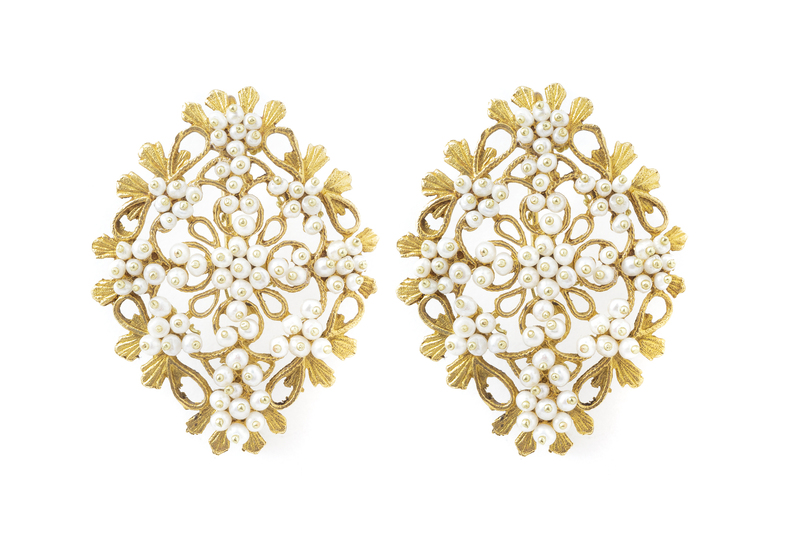 The precious pearl set, crafted using small pearls on a gold filigree, offers an ancient and classy touch; earrings are made of lightly burnished yellow gold. 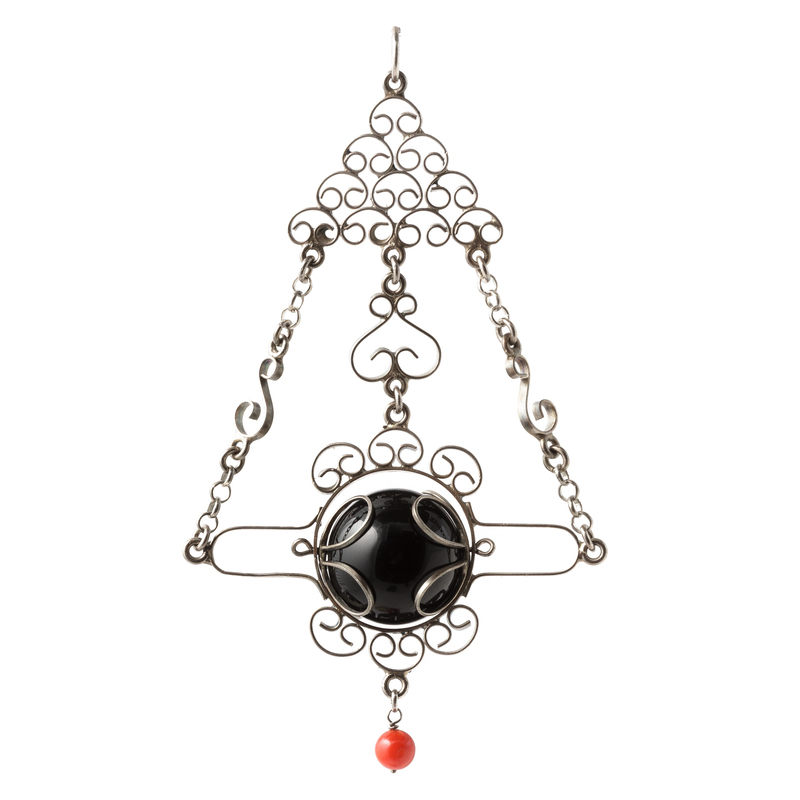 The lucky charm, traditionally given as a gift to newborn babies, is reinterpreted as a necklace made of a silver thread and an onyx. Being a fundamental element of the traditional female costume of Dorgali, Sa Zoiga used to be given as a gift to brides by their fiancées. 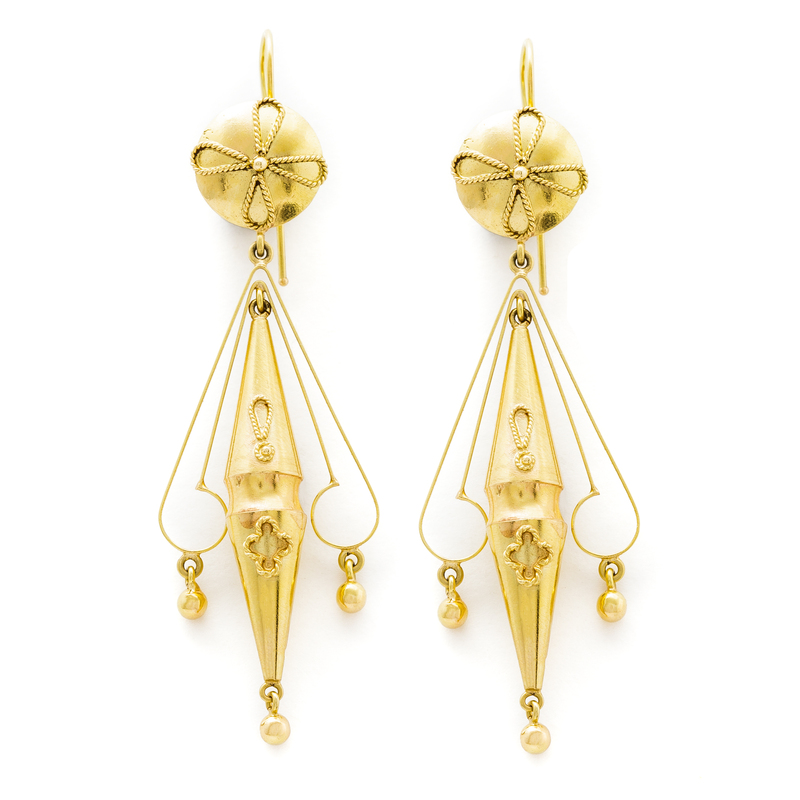 These yellow gold earrings incorporate the shape of the ancient earrings of the traditional Oliena costume. Crafted on a metal sheet and enriched by flat-wire elements, they are characterized by a refined taste of composition. 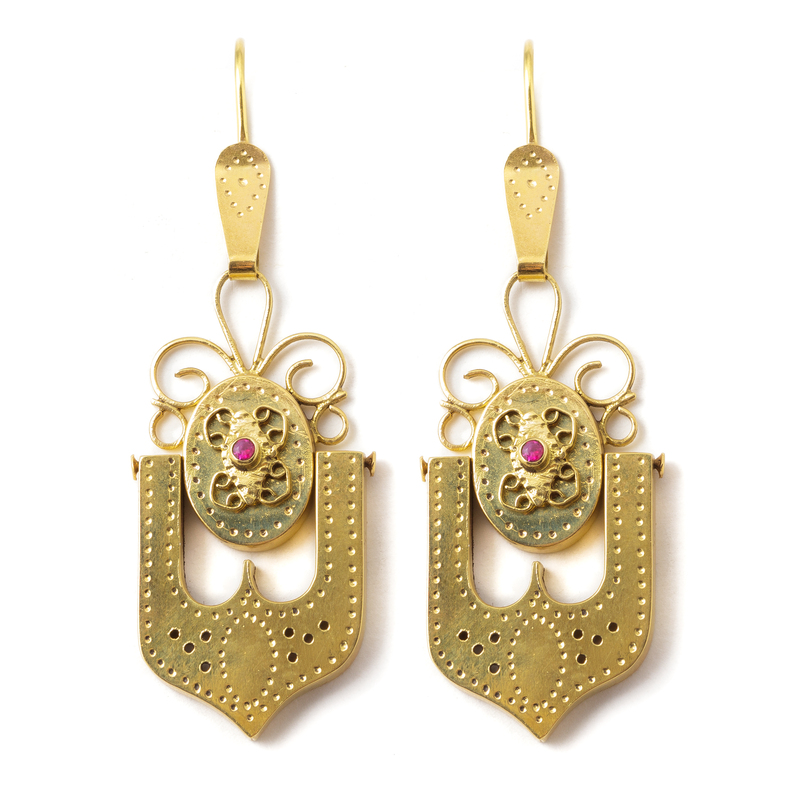 They are inspired by an ancient traditional and elegant charm; the precious set of gold earrings is shield-shaped. Consisting of several articulated elements, the surface is punched, embellished with curl-like patterns with a flat edge and small central bezel. 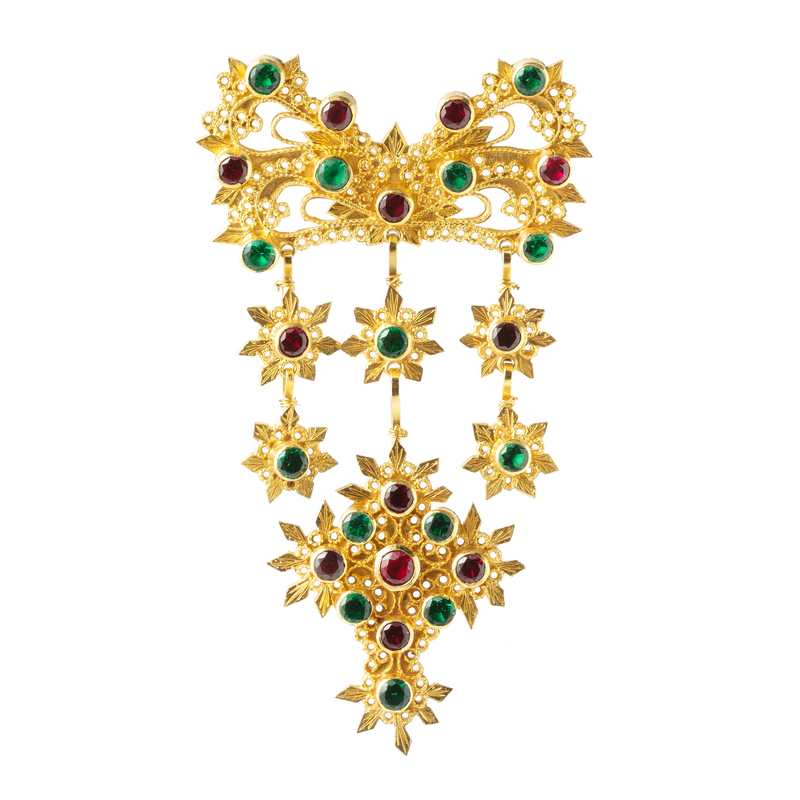 To Alessandra Patteri, a third-generation goldsmith, her passion for handicraft work comes from a precious family tradition that began in the 1920s with her grandfather Secondo Patteri and continued until the 1990s with her father Tonino. Alessandra and her brother Cristian welcomed their artisan heritage with sincere passion, sensitive to local tradition and highly motivated to keep alive their history, skills and expertise enhanced by learning experiences conducted outside the island. In the workshop, traditional jewelry and elements of local identity are reinterpreted, creating accurate reproductions or reformulations with a creative, elegant and contemporary touch. Today, the artisan works with her daughter Rossana in her goldsmith workshop in Dorgali, continuing her family tradition. Traditional local jewelry goes hand in hand with objects of modern inspiration: earrings, rings, pendants and necklaces, made of silver or yellow gold, are the elements of her current production. In the workshop, she implements both traditional Sardinian and classic jewellery techniques.